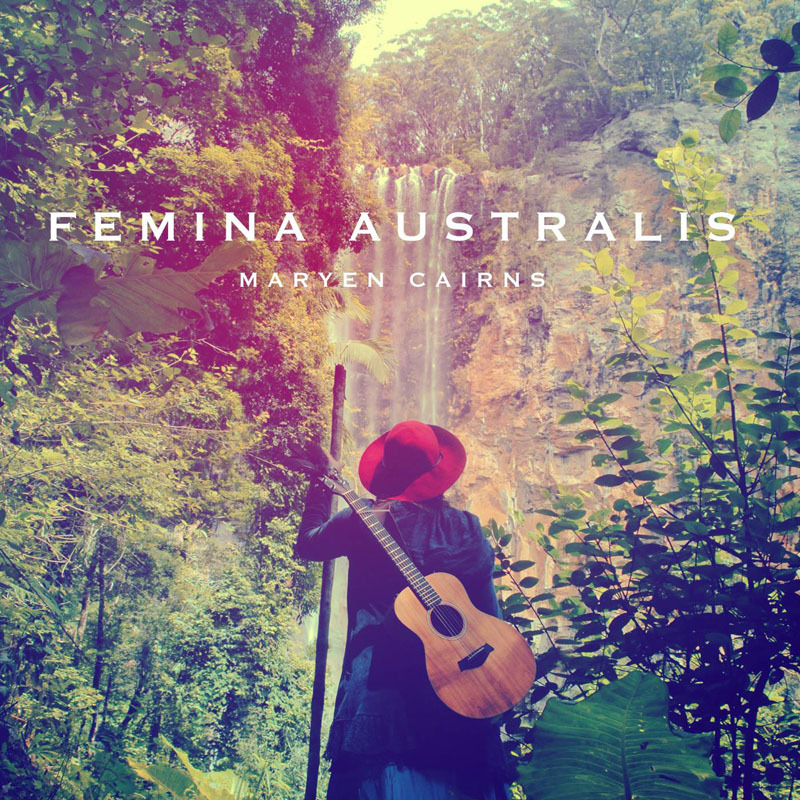 Like all the best stories, the genesis of new album, Femina Australis, by Maryen Cairns, who lives in the Gold Coast hinterland, began with an unexpected discovery. Visiting the Kelly Museum at Glenrowan a couple of years ago, she heard something that hadn’t been a part of the story of the Kelly gang that we’ve all grown up with. ​As she listened to the Museum’s version of how the Kelly brothers became outlaws, she was stunned to learn the reason they’d been branded as such by one Constable FitzGerald was that said constable had abused their little sister Kate while waiting at the family homestead for Dan Kelly to return. The brothers were naturally outraged, an altercation ensued and though the constable apologised at the time, he was soon telling a very different story back at the station. Inspired, Maryen read all she could about the Kellys to learn more about Kate and soon wrote a song about the younger Kelly. An avid reader and passionate about history, a book by Clare Wright, The Forgotten Rebels of Eureka, inspired yet another historically-based song, Smoking Gun. Excited about this new direction her songwriting was taking, she contacted an old friend - UK producer Chris Kimsey - to get a second opinion on the two songs. Back in 1991, Kimsey had produced Maryen’s debut single, Too Young to Die, soon after the Scottish-born Sydney-raised singer-songwriter arrived in London for a three-week holiday that became a ten-year musical rollercoaster. Kimsey introduced Maryen to former Marillion frontman Fish, who invited her to sing backing vocals on the album he was recording at the time with producer Kimsey, Internal Exile, and she ended up touring with him over the next four years. She also recorded two solo albums - 1992’s The Pictures Within and 1994’s For Eternity - for US label Progressive International - before returning to Australia in 1997 to start a family. She resumed her recording career in 2004 with the self-produced independent album, Stories From Beneath, followed in 2012 by Stories from the Red Tent. Not only did Kimsey love the new songs but encouraged Maryen to continue to explore that historical vein, and over the next 18 months, she wrote another 13 songs, 12 of them about Australian women, some well-known, others largely forgotten, whose stories intrigued her, the storyteller in Maryen demanding that they be told, among them Birrung, Mary Reibey, Tarenorerer, Caroline Chisholm, Grace Bussel, Elizabeth “Jessie” Hickman, Edith Cowan, Joyce Barry, Oodgeroo Noonuccal AKA poet Kath Walker and Granny Lum Loy. Chris Kimsey produced the resulting album, Femina Australis, building on Maryen’s home studio recordings in his London studio with the help of some impressive musicians, among them film-score composer Hal Lindes, who had been the second guitarist in Dire Straits; American keyboards player Red Young (Willie Nelson, Waylon Jennings, Eric Burdon) and UK musicians drummer Ash Soan (Del Amitri, Squeeze, Robbie Williams) and bass player Jennifer Maidman (Penguin Café Orchestra, Joan Armatrading, The Proclaimers), while Katherine-based Indigenous artist and Wardaman elder, Bill Yidumduma Harney brought a traditional Whirlwind Song to Maryen’s final song on the album, Australis. A proud mother of four, her youngest son, Elvis Kernaghan, even provides some wailing electric guitar licks on the track Tarenorerer. Maryen Cairns launches Femina Australis at The Basement at the Gold Coast Arts Centre, Saturday 30th July, with Sydney and Melbourne launches following shortly after.